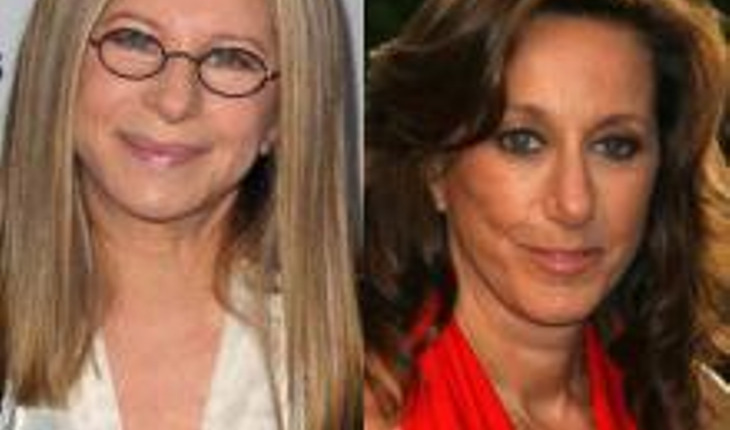 Celebrity best friends Barbra Streisand and Donna Karan have famously continued their close connection with one another for over 20 years. Babs, who will turn 70 in April of 2012, recently took the stage at the Dream Foundation’s annual gala to present the evening’s award to the 64-year-old creator of DKNY clothing labels for her tireless work in helping grant wishes for the terminally ill. According to the Santa Barbara Independent, Donna walked the red carpet “with her notoriously camera- and question-shy best friend Barbra Streisand.” We applaud the legendary warbler for getting past her own issues in order to support a woman who counts on her – and who returns the favor. Other celebrity BFFs (Best Friends Forever) who come to mind include Jennifer Aniston and Courteney Cox, Oprah Winfrey and Gayle King, Nicole Kidman and Naomi Watts, and Tina Fey and Amy Poehler. Thinking about those notable pairings got us to wondering about whether a bond between two women is as important during the ThirdAge as it may have been in earlier years. Most of us had a best friend in elementary school. Psychiatrists say that’s because females are destined to nurture emotional connections and so they need to start practicing when they’re very young. Guys, on the other hand, are more likely to have hail-fellow-well-met pals. Little boys chase one another and roughhouse while little girls talk to one another. This pattern typically continues through the decades so that men end up mostly getting together to watch or play sports or talk business and women become one another’s confidantes. That’s not true across the board, of course. People are individuals. But in general, women are the heart-to-heart specialists of the species. That being so, do our female friendship needs change with the passing of years? Irene S. Levine, PhD, the author of “Best Friends Forever: Surviving a Breakup With Your Best Friend,” told us that in her practice as “The Friendship Doctor” she has observed that each woman’s core personality becomes more pronounced with age. In the final analysis, though, what really matters, according to Dr. Levine, is that you have people who add something special to your life, be they long term chums like Babs and Donna or fresher friendships that are perfect fits for who you are now. And so? If you’re satisfied with your closest friend or with your wider social circle, that’s wonderful. But if affiliations have somehow slipped away so that you not only don’t have one BFF but you don’t really have any friends you are certain are there for you, perhaps you need to reach out to find good female relationships again. We may not still need a BFF the way we did when we were giggly ten-year-olds who wore friendship necklaces and talked on the phone with one another every evening until our mothers scolded us for not finishing our homework. Yet we do need women in our lives. Yes, some females make the ugly stereotype of the catty “mean girl” a truism. But that’s not the whole story at all. Since the beginning of time, women have shared their wisdom and experience with one another and lightened each other’s burdens.